I have not yet agreed with Montella’s assessment of how well the team played for any of these matches so far. He’s been more than generous with the praise. And now he’s gone and used the “I don’t have a magic wand” line of doom. But luckily for him, Bacca did his job again, and Niang stepped it up, too. As did others. In fact, I’m willing to go out on a limb and say that this was the best Milan have played so far this season. I wasn’t blown away, but I did see more heart, fewer mistakes, and better discipline. And three points doesn’t hurt, either. I’ll give this one a special mention. 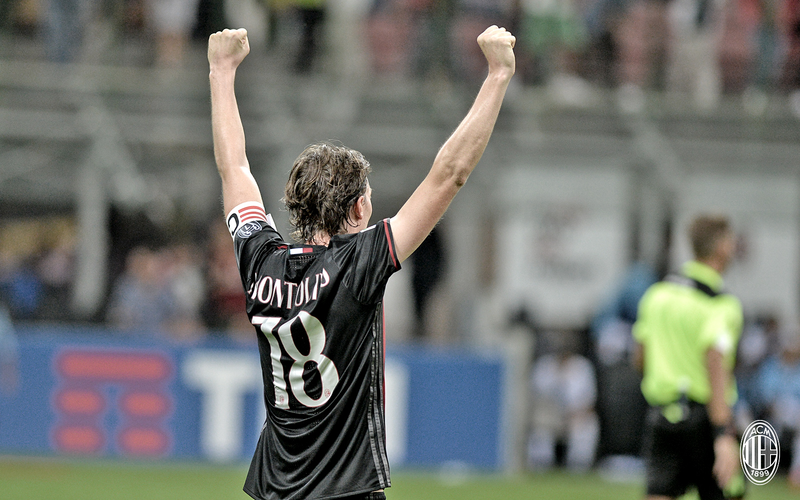 Montolivo said postmatch that we played well except for the first ten minutes. No, Lazio dominated for the first 33 minutes. It was almost like someone flipped a switch at that point – the players fought for the ball, completed passes, and played like they actually wanted to win. 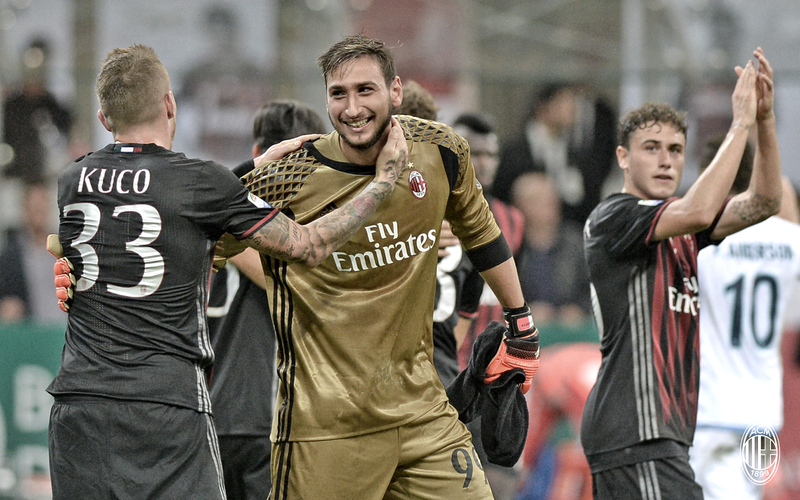 So after Lazio had been keeping Donnarumma busy (all totaled, they would fire 20 shots, with five on target,) it was time for Milan to give the 21 year-old Albanian Strakosha a proper Serie A debut. He was a last minute and very unexpected start over Marchetti, who failed a very late fitness test with a calf muscle problem. I would think it would be difficult to debut with Donnarumma as your counterpart. Being five years older than Gigio was at his debut and all, it probably wasn’t going to go well. But things turned from bad to worse for Strakosha when Kucka won the ball in our half as Bacca ran, the pass was good, he was not offside, and Bacca scored his fifth goal of the season against the poor young Lazio keeper. 1-0 Milan in the 37th. Additionally, Strakosha took at least six shots in the first half alone from Bonaventura, who was quite unlucky. Oh and the ones from Niang, too. "Was that enough movement off the ball for you, Montella?" 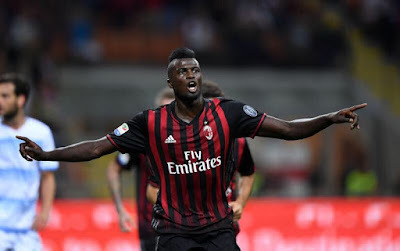 Speaking of Niang, his miss in the 56th was the kind of miss that legends are made of. And not good legends, either. Calabria saw yellow in the 62nd, although my camera replays showed that Suso fouled, so that was weird. Must have been something off camera. The subs were Locatelli on in the 68th for Suso, Honda on in the 82nd for Bonaventura, and Gomez on for Bacca in the 87th. No comment. But amidst all of the fouls and Lazio yellows (they had five in all to our one,) Radu was whistled for a handball in the box in the 73rd. So Niang stepped up and put the penalty away to make it 2-0 Milan. Which of course triggered the special handshake/chest bump that he and Bacca have, so it was even more awesome. Lazio fought to the final whistle, but they couldn’t undo what Milan had done. Milan had 52% possession for the whole game, which is good considering how much of the game Lazio dominated. They had five shots on target in the first half vs. Lazio, more than any game so far, and our 17 shots and six on target was also a milestone. But I think the biggest factor is how much many of the other players stepped up. Donnarumma was epic as usual, but Romagnoli played his best game in a while, and Paletta did, too. De Sciglio did well enough, but Calabria showed he deserves a start, especially right around the 45 minute mark. Bonaventura was his usual self (which is awesome, of course,) even if his shots were stopped by Strakosha. Kucka came back from his two match ban with twice as much grinta – so much so that he left a strong impression on Strakosha (or he would have had that goal.) Suso was slightly subdued comparatively, but had some brilliant crosses and played hard, too, whereas the goalscorers, of course, are forgiven for any trespasses due to the scoreline. Galliani and Montolivo both spoke afterwards about Montolivo’s haters. And both were as ignorant and clueless as they are hated. Montolivo is still the weakest link, and even if he jogs sometimes now instead of walks, the team is most successful pushing the ball out to the wings and up that way instead of playing it through him. He played so deep for much of the game, for no apparent reason, then when it was time to defend, he looked like he wanted to be another striker. His foul on Djordjevic was dangerous and stupid, and I think if you look up liability in the dictionary, his picture is next to it. It was not a good performance from him, to say the least. That said, minus our illustrious “captain,” I thought I almost spotted a team out there today. Like ten of our eleven players working together and playing this thing called football… have you heard of it? Whatever Montella’s bizarre and twisted perceptions are of what is actually happening on the pitch, (like how he raved about Montolivo having a great game on Friday… you know when his highlight was almost assisting a goal for Samp?) the team showed some heart tonight. And it paid off, too. Granted, Lazio weren’t great, and everyone was tired from having played a few days ago. 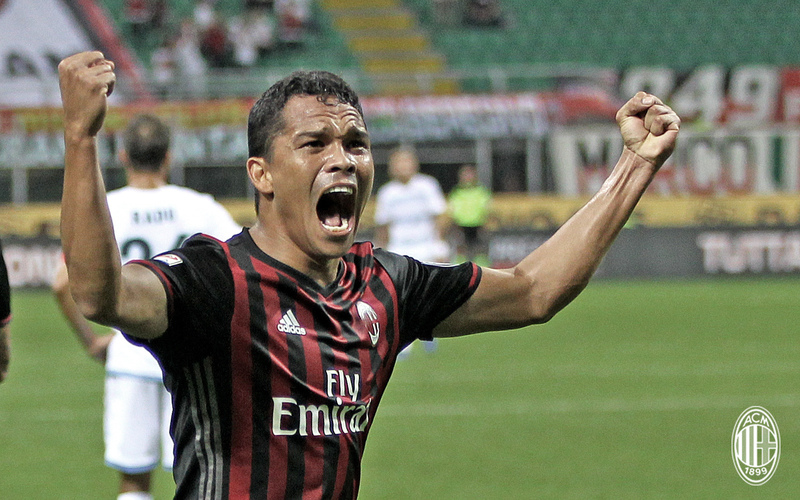 But Milan were… dare I say it, “good.” And for that, they deserve a special mention.